Tanzina Vega's article, "Sponsoring Articles, Not Just Ads, 'Branded Content' On the Web Mingles With Regular Coverage," in The New York Times, on April 8, serves as yet another wake-up call for the public relations industry that the blurring of the lines between paid and earned media is becoming more and more prevalent. Tanzina Vega's article, “Sponsoring Articles, Not Just Ads, ‘Branded Content' On the Web Mingles With Regular Coverage,” in The New York Times, on April 8, serves as yet another wake-up call for the public relations industry that the blurring of the lines between paid and earned media is becoming more and more prevalent. Yet, rather than sound an alarm, our profession and the institutions that claim to be its representatives remain conspicuously absent from the debate, complacent and even supportive of sponsored and branded content that is made to look and feel like objective editorial copy. The rise of “all content is equal” seems to be achieving the status of an unstoppable force driven by two compelling economic realities – the growing irrelevance of traditional advertising and the permanently broken media business model that was dependent on that advertising to deliver objective reporting. Faced with this problem, marketers and their media sales representative counterparts, desperate for platforms to reach consumers, landed on a simple, elegant solution – sponsored content that closely resembles the highly valued editorial content achieved through objective reporting. After all, what is more powerful than a favorable news article achieved through the objective reporting of the facts for a company, product, or service? Ironically, this blurring of the lines between paid and earned media has been easily and neatly explained away by the claim of authenticity. In other words, producing advertising content that has the look and feel of objective editorial content is OK as long as the content producer tells the truth. There you have it. In the name of thought leadership and big issues, it is perfectly alright to sacrifice objective journalism on the altar of marketing as long as you address big issues and call it thought leadership. Why bother taking the time to persuade a journalist that those big issues and leading thoughts deserve to be published on their merit when you can have it published by simply paying a media outlet? It's simple. For one thing, people aren't that stupid. They will eventually wake up to this scam, if they haven't already. What's at stake is the power of objective, third-party news coverage -- the very thing marketers covet. Because if you can't tell the difference between content that was produced by objective reporting as opposed to the writing of a check, then why believe any content? Defenders of the branded content movement have adopted an effective and convincing defense that usually starts with invoking the mysterious world of social media. And, in fact, it is social media that has played a major part in blurring the earned and paid media lines by creating a free-for-all of information. Critics of the all-content-is-equal movement are often branded as being stuck in the past and slow to adapt to a new media environment where content – regardless of its value – is king. On this last point, I must confess guilt. Because if embracing the power of social media means we must abandon the principles that have been the underpinnings of the relationship between journalism and public relations by accepting branded content as equal to objective reporting, I cannot and will not sit by quietly. I am sympathetic to our advertising colleagues. Their profession is becoming irrelevant because consumers – largely because of social media -- no longer care what a company claims about their products and services, choosing instead to rely on the experiences of other consumers who do not have a vested interest in those products and services. And, I am sympathetic to our media colleagues who, like deer caught in headlights, sat by for years and watched their business model disappear, apparently believing no one would be willing to pay for objective reporting. To be clear, the solution to their problems is not to throw out the principles of objectivity and transparency that define earned media. All content is not equal. If you need to pay to have something published on any platform – new or old media -- it isn't genuine by definition. Those who guard and protect those principles aren't dragging their intellectual anchors. They are upholding an important and sacred public trust. 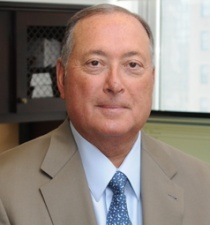 Bob DeFillippo is chief communications officer at Prudential Financial.